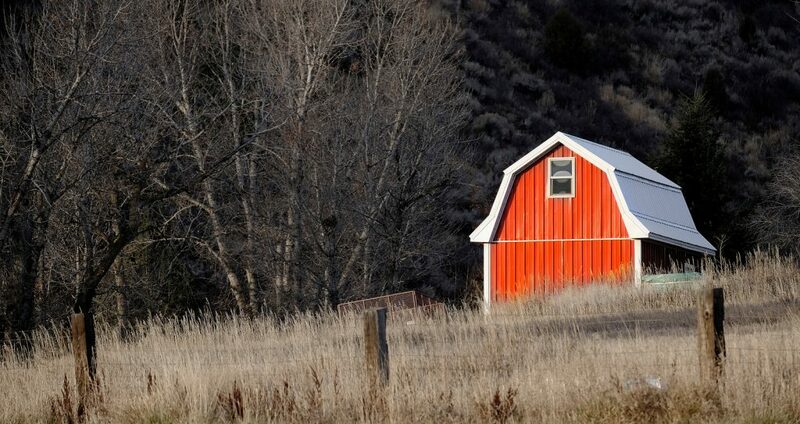 Barns serve many important purposes, especially when they house livestock. With such valuables inside your barn, it is can be quite distressing discovering animal damages inside. Boats, equipment, tools, cars, furniture, lumber, materials, and more can all be destroyed by nuisance wildlife. Here in Kentucky, one of the most common barn-dwellers among the native nuisance wildlife are raccoons. This is partly to do with the fact that raccoons have highly dexterous paws that can open windows, doors, latches, handles, and even locks, much like human hands can. If you are dealing with nuisance raccoons in or around your barn, you can feel better knowing that there are some simple ways to thwart raccoon activity without causing them harm. Continue reading for some tips on how to get rid of raccoons in barns. If you are lucky enough to have a modern barn that was constructed with quality lumber and parts, you will likely have working barn doors. However, doors are not enough to keep out intelligent and crafty critters like raccoons out. In addition to ensure your barn doors are sturdy and close all the way, it will help to invest in some better locks. Use combination locks that cannot be opened or unhooked by raccoons. These will do the trick to keeping raccoons out if they are using the door as their entry point. Although shelter is likely the primary motivation for raccoons to access your barn, food and water also play a part. If you eliminate all food and water sources inside the barn, it will have a big influence on the level of raccoon activity. However, many people have barns solely for the purpose of storing feed and other forms of foodstuffs, making this tip moot. In this case, you can remove all food and water sources outside of the barn, and hope that it makes a difference. Raccoons are more afraid of you than you are of them. They will jump and run at the smallest startling noise, or light. Motion-detection lighting is cheap, easy to install, and does wonders when it comes to abating nuisance raccoon activity outdoors. Best of all, it is harmless and humane, and can also keep other nuisance wildlife away, like skunks, opossum, squirrels, and more. Like motion lighting, automatic sprinkler systems work well too. As an alternative to motion lighting and sprinklers, you can place a radio inside your barn and leave it on a talk station, overnight. This will make raccoons think humans are around, and will steer clear of the area. When all else fails, you need professional intervention. 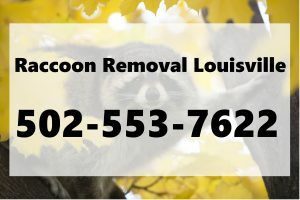 Call 502-553-7622 if you are experiencing ongoing raccoon problems in Louisville, Kentucky and throughout its surrounding areas. We are DNR licensed and insured, and provide both residential and commercial raccoon control services. We offer 24 hour raccoon removal, as well as, raccoon control, proofing, prevention, minor restorations for raccoon damages, cleanup, and much more. This entry was posted in Raccoon Control Services and tagged get rid of raccoons, get rid of raccoons in barn, keep raccoons out of barn, Louisville Raccoon Removal and Control, Raccoon Removal Louisville, raccoons in barn help. Bookmark the permalink.